A Circumnavigation of Iceland, an 11-day expedition aboard the National Geographic Explorer, explores Iceland’s geology in all its world-class manifestations: glaciers, thundering waterfalls, immense cliffs, geothermal springs, boiling mud pots and rock and lava-scapes of unearthly beauty. These features alone make a circumnavigation a very compelling idea. And when you add in the other itinerary components of Iceland’s people, their unique cultural heritage and contemporary character, the island’s geography and birdlife seeing it all in one expedition is irresistible. Fly to Reykjavik, Iceland. Recommended group flights may be available. Arrive in Reykjavik, the world’s northernmost capital, which lies only a fraction below the Arctic Circle and receives just 4 hours of sunlight in winter and 22 in summer. Have a guided overview of the Old Town, including Hallgrimskirkja Cathedral with its 210-foot tower, and perhaps shed some light on Nordic culture at the National Museum, with its Viking treasures and artifacts, and unusual whalebone carvings on display. Embark National Geographic Explorer. National Geographic Explorer navigates Iceland’s wild western frontier, sailing past the immense Latrabjarg cliffs, the westernmost point of Iceland and home to a huge population of razorbills. The cliffs are an area once famous for egg collecting; the men were tied to ropes and lowered like spiders down onto the ledges. Continue to Flatey Island, a trading post for many centuries, for walks around the charming little hamlet that grew here, and take a Zodiac cruise along the coast. Located in the Western Fjords, Ísafjördur is surrounded by water on three sides, sculpted by glaciers. Renowned for its traditional eider down production, it is a picture postcard of traditional Icelandic life and a great place for hiking, kayaking and for spotting eider ducks. Hornstandir is Iceland’s northernmost peninsula, situated in the Westfjords region. Stunningly beautiful and peaceful, this remote corner of Iceland is uninhabited and can only be accessed on foot or by boat. Summertime is magical with 24 hours of daylight and many species of seabirds, including puffins, guillemots, razorbills, and kittiwakes. Drive to Mývatn, the most geologically active area in Iceland. This is world-class field geology! See the bizarre mud pools at Hverarönd that are so hot they actually bubble. At the Krafla geothermal area explore the explosion crater at Viti and continue to an unforgettable sight: Godafoss, the waterfall of the gods. Meet the ship in Húsavík, and watch for whales as the Explorer sails north to the land of the midnight sun. Take Zodiacs ashore to the tiny island of Grimsey, which lies exactly on the Arctic Circle. Here celebrate being officially in the Arctic, in the company of nesting arctic terns, fulmars and puffins in burrows, all bathing, courting and fishing. With plenty of rarely visited coastline, this day is left open to explore Iceland’s rugged east coast. Join the ship's naturalists for a hike or a Zodiac cruise to get a better view of the beautiful stacks at the end of the peninsula. Or, conditions permitting, you may have your first chance to kayak today under the steep cliffs. Dock in Djupivogur to explore the vast Vatnajokull ice cap. Explore by small boat to get up-close and personal with the deep blue icebergs of the large ice lagoon of Jökulsárlón. Photo lovers may set off with the National Geographic photographer. The Westman Islands were formed by undersea volcanoes between 5,000 and 10,000 years ago and are among the youngest of the world’s archipelagos. In 1963, the world witnessed on film the birth of its newest island, Surtsey, a UNESCO World Heritage Site, which you see as you cruise past the coast. In 1973, Heimaey was threatened by lava flows that nearly closed off its harbor. Visit the crater, where the earth is still hot, and have amazing views of areas that had been engulfed by lava. 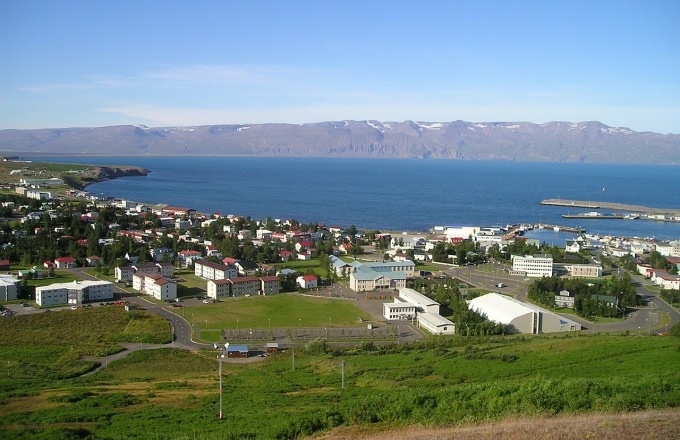 Today, complete your circumnavigation of Iceland, disembarking in Reykjavík. Stop by the famous Blue Lagoon thermal baths, prior to your flight home. Whether you choose to enjoy the surreal bath and spa facilities or just stroll around the fascinating environs, the Blue Lagoon is unforgettable! The National Geographic Explorer is one of the finest expedition ships in the world. She is equipped for true expeditions to the farthest reaches of our planet is safety and comfort. At 148 guests and 356 feet she is larger than many other expeditions ships but her size ads stability and endurance for longer voyages. She is still small enough to access remote locations favored by small ship expeditions. Choose the National Geographic Explorer if you are an active and inquisitive traveler seeking the one of the finest ships combined with the best on board experts from National Geographic.The experts and equipment on board this next generation expedition ship provide the finest intellectual and educational experience of any expedition cruise. If you are seeking an upscale expedition ship, with the best guides in the industry, and you are willing to pay the premium of such an experience, the National Geographic Explorer is the right expedition ship for you. Main Deck with one or two Portholes #301-308. Most cabins feature two lower single beds. Cabins 303-306 feature one queen-sized bed. All offer a writing desk, reading lamps, bathroom with a roomy glass-wall shower stall, and a TV showing the ship's position and programing. Shared accommodations available. Upper Deck with Balcony cabins 209, 211, 214, 216, 218, 220-222 and 224. These cabins feature a balcony with sliding glass doors, feature one queen-sized bed, a writing desk and chairs, climate controls, a TV showing the ship's position and programing. Bathrooms are also generously sized with a roomy glass-walled shower stall. Cabin 221 has two lower single beds that can convert to an Olympic-sized queen. Personal items such as alcoholic beverages, emails, laundry, etc.